The President of the Republic of Senegal, Macky Sall, announced on Wednesday, August 29, 2018 that his government was preparing to launch a program to electrify 300 villages using solar energy. The project will be carried out with the support of the Federal Republic of Germany. It is a new era in Senegalese-German cooperation. The two countries have just launched a project to electrify 300 Senegalese villages with solar energy. The two leaders made this information public during a joint press conference held at the Palace of the Republic between the German Chancellor Angela Merkel on a state visit to Senegal at the time, and Macky Sall, her host: “We still have needs to meet in rural areas. We have a solar electrification project for 300 villages. I welcome this new partnership which involves the private sectors of both countries.” It is in these terms that the President of Senegal has chosen to present the outlines of the project to the public. He did not fail to express his satisfaction with the fruits of German cooperation in a “sector as important as energy”, especially at a time when important projects still have to be carried out, especially in rural areas. Germany will provide €120 million for this project. A memorandum of understanding has been signed with the German company Pfister Kontaktsystem for the installation of a 10 MW hybrid solar power plant to supply companies in the industrial zone of Sandiara (rural community located west of Senegal editor’s note.) The company actually has some avenues of cooperation to start the project. “We will work with Senegalese companies to install the system. For maintenance, we will train local citizens in Germany,” said Jessyca Tshisuaka, Pfister’s Africa manager. In Senegal, the rural electrification rate was 40% in 2017. In June 2017, the country of Macky Sall inaugurated a solar photovoltaic plant in Sinthiou Mékhé (Thiès region, 80 km from Dakar). This plant, considered the largest in West Africa, consists of 92,000 solar panels and is capable of supplying 200,000 households. 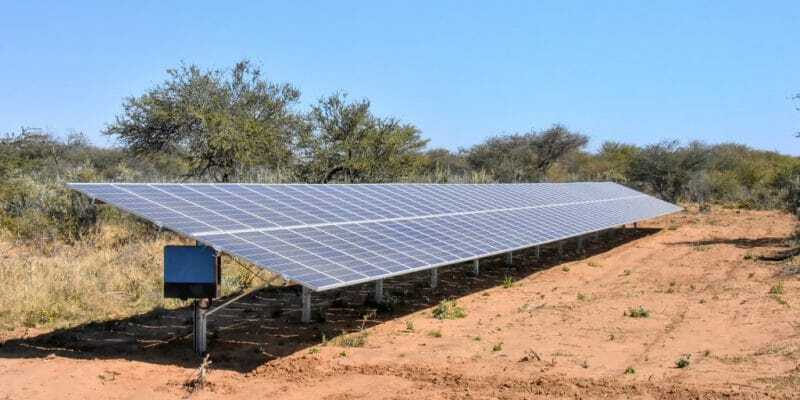 Further on, in 2016, Senegal had developed another solar power plant in Bokhol (a local community in the north-west of the country) with a capacity of 20 megawatts.